Brandon Davis began working at Shoe Country when he was 15 because it was a job he enjoyed. Now 17 years later, he’s the owner of Shoe County Warehouse, which opened in 2015 and in 2017 consolidated with its namesake original. Shoe Country was started by Tony Dickerson in Nettleton. A math and social studies teacher, Dickerson started selling furniture on the side, then bought a small inventory of shoes. That morphed into the store in 1974. He moved Shoe Country to the West Main Shopping Center in Tupelo in 1979. Following his death in March of 2017, the three remaining partners in the store, who worked with Dickerson, hired a retail consultant to look at the operations. He recommended that they consolidate into a single location. After some negotiations and an amicable parting of ways, Davis emerged as the sole owner of the business. The original Shoe Country closed in December, and Shoe Country Warehouse, which had been in the Tupelo Commons retail center on North Gloster Street, moved into a larger space in the same development. Davis kept the top 20 brands at Shoe Country and the top 20 brands at SCW and put them all under one roof at the new Shoe Country Warehouse location. “It’s worked out amazingly well,” Davis said. “We’ll have an old customer from Shoe Country come to find her SAS in wide that we’ll sit down with her and measure her foot like we did over there, and then we also have the customer who just wants to find the pair of Sketchers that fits. 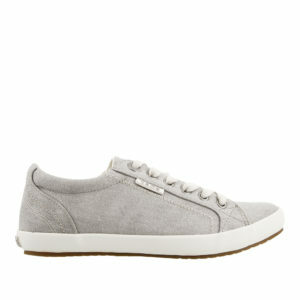 The new Shoe Country Warehouse offers men’s, women’s and children’s shoes. “It’s all about offering the best selection, size and service,” Davis said. 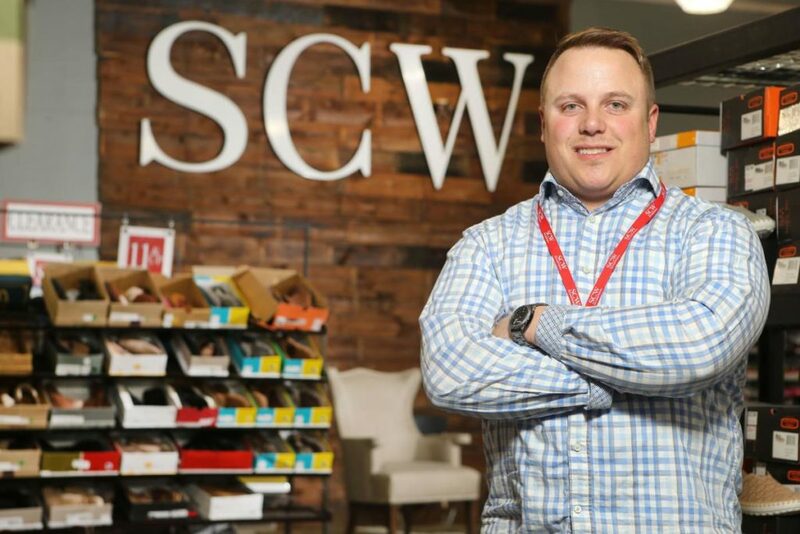 Most of the shoes are on the sales floor, which allows customers to see the more than 12,000 shoes at SCW without having to worry about what might be in the back. That makes for a lot of shoes, particularly for an independent shoe store battling against the big box stores and other shoe retailers. But Davis said there’s a method to the madness. Davis said that he learned much from Dickerson as well as his former partners about running the business. The main focus was customers. They were – and must be – first and foremost.